Evidence is mounting that power morcellators can spread cancer when they are used to conduct a hysterectomy or remove uterine fibroids. Patients who develop cancer throughout the abdomen and pelvis after a hysterectomy or uterine fibroid tumor removal, are suing manufactures for failing to warn patients and doctors about the dangers of power morcellators. Have you or someone you love suffered serious side effects following a morcellation procedure? The mass tort litigation attorneys at Goldberg Weisman & Cairo are your advocates. At our firm, we believe that all of our clients best interests should determine our case strategy. Goldberg Weisman Cairo is the states largest personal injury law firm. With decades of experience and tens of millions of dollars in verdicts and settlements, the firms success speaks for itself. When you are trying to make the best decision for your family, hire a law firm with extensive resources, a history of excellence and a commitment to justice. Attorneys at GWC are guiding individuals who have been subject to laparoscopic power morcellation surgeries and have gone onto develop uterine cancers through the personal injury claims process. Our personal injury attorneys will work to get you and your family the financial compensation you deserve after being subject to the devastation of cancer. Power morcellators are medical devices that use minimally invasive tools to create minimal cuts in the abdomen to remove uterine fibroids or an entire uterus by cutting it into small pieces extracting the pieces through the abdomen. On April 17, 2014, the Food and Drug Administration (FDA) released a safety communication discouraging the use of laparoscopic uterine power morcellation in hysterectomy (removing the entire uterus) and myomectomy (removing fibroid tumors) procedures. In the wake of that safety communication, power morcellators have been used since they were approved in the early 1990s by the FDA. It is only within the last few years that medical studies have demonstrated that women who have undiagnosed uterine cancer and undergo power morcellation procedures can spread their uterine cancer into the abdomen and pelvis. How do Power Morcellators Work? Power morcellators cut up potentially cancerous tissues and extract them through the abdomen. Through this process, the tools can spread aggressive cancers, which would have otherwise been contained, throughout the abdomen and pelvic region. The spread of cancer after a power morcellation procedure often results in women being diagnosed with late-stage incredibly aggressive cancers. There is no widespread consensus on the exact causes of uterine cancers. Risk factors can include early menstruation before the age of 12, delayed pregnancy and a family member with uterine cancer. Women and their lawyers are asserting their legal rights and holding manufacturers and hospitals accountable for the spread of uterine cancer. Uterine cancer is the growth of abnormal cells in the uterine tissue and when it spreads beyond the uterus it is difficult to treat. While companies such as Johnson & Johnson have pulled their power morcellators off the market, many other manufacturers have not. Patients who need gynecological surgeries to remove their uterus (hysterectomy) or uterine fibroids (myomectomy) can use traditional surgeries. And though the recovery time will be longer using traditional surgical methods, the risk of spreading uterine cancer associated after a power morcellation procedure is greatly reduced. The FDA estimated in its safety announcement that 1 in 350 women who undergo laparoscopic surgeries have undiagnosed uterine cancer. Thousands of women undergo the procedure each year, and more and more women are coming forward with diagnoses of uterine cancer after a power morcellation procedures. Doctors can usually diagnose uterine cancer by using ultrasounds or conducting biopsies. Unfortunately, uterine cancer that has spread throughout the abdomen and pelvic region after power morcellation is more difficult to treat and more aggressive. Hospitals and doctors should use the safer traditional hysterectomy procedures. There are alternatives that do not spread cancer. If your doctor has used power morcellation and you now have uterine cancer, you may need to assert your legal rights. In a clear demonstration of the rising dangers associated with power morcellator procedures, insurance companies have begun announcing that they are abandoning coverage of power morcellation procedures. On August 2, 2014, Highmark Inc., one of the largest providers of Blue Cross Blue Shield plan providers announced that power morcellator coverage would end on September 1, 2014. In its decision the company cited the FDAs safety communication discouraging the use of power morcellators. 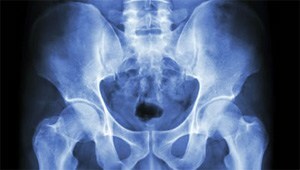 Hospitals are also joining insurance companies in rejecting morcellation procedures. The University of Pittsburgh Medical Center, one of the nations largest hospitals, has suspended power morcellation procedures. The medical center referred to the concerns expressed by doctors, insurance companies and the FDA in its announcement to halt the procedures.